Dispute the intent of the officer who stopped you. 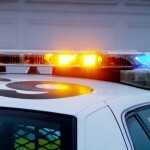 Law enforcement officers must have a legitimate reason for pulling over a driver for suspicion of driving under the influence; it’s constitutional law. If a legal reason for the stop cannot be offered, there was no legal basis for your arrest, and the charge will be dropped. Dispute the results of field sobriety tests. Field sobriety tests are notoriously unreliable. An arrest based upon any of the common three field sobriety tests should be challenged aggressively. Dispute breathalyzer test results. While breathalyzer tests are somewhat more reliable than field sobriety tests, breathalyzers must be used properly and calibrated accurately or the results will be inaccurate. Dispute the results of the blood test. Blood tests must be conducted by adhering to well-defined guidelines. If the procedures were not followed precisely, the blood test’s results may be inadmissible in court. If you are taking any medication that contains alcohol, a blood test will render inaccurate results. 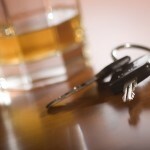 These are only several of the strategies a good driving under the influence defense lawyer may pursue in your defense. If you’ve been charged with driving under the influence in California, or if you face the charge in the future, don’t despair; you can “beat” the charge if you obtain the services of an experienced DUI defense attorney as quickly as possible.